Is your Oster Blender Jar Base Cap missing, cracked or broken? 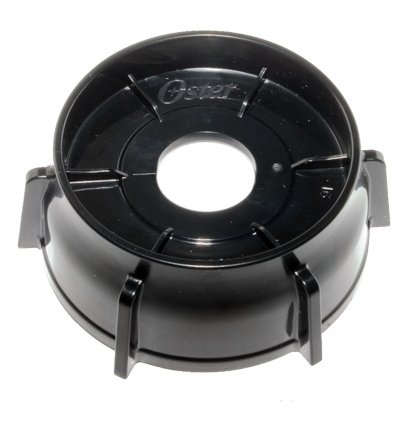 You may need a new Oster Blender bottom cap 148381-000-090. This blender base cap fits most Oster Blenders and all Oster Kicthen Centers and replaces previous part numbers 4902, 015132-200-090, 126450-001-090. 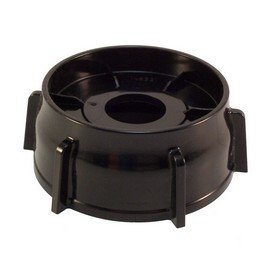 This threaded black plastic cap mounts to the bottom of your blender jar and holds the blender blade and seal in place. 6628 6630 6631 6632 6633 6634 6635 6636 6640 6641 6642 6643 6644 6645 6646 6647 6648 6652 6653 6654 6655 6656 6657 6658 6662 6663 6664 6665 6667 6668 6672 6673 6674 6675 6676 6677 6678 6679 6680 6681 6684 6686 6687 6688 6689 6692 6696. 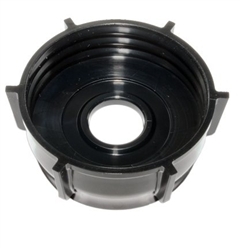 Also fits Fusion Blender models: BVLB-L00-000 BRLY07-B00-000 BRLY07-BF0-000 BRLY07-W00-000 BRLY07-Z00-000 BVLB07-L00-000 4100-8 4102 4101-8 4165-8 4106-8 4108-8 4109 4110 4111 4112-8 4114 4115 4117 4125 4126 4127 4128 4129-0 4132 4134 BPST02-B00-000 BPHT02-B00-000.